Triangularly stacked rare Arkansas blue phantom [black manganese] crystals feature several ghosted [white phantoms, more rare] crystals, deep rainbows, and a small side of brilliant white [clear] points. 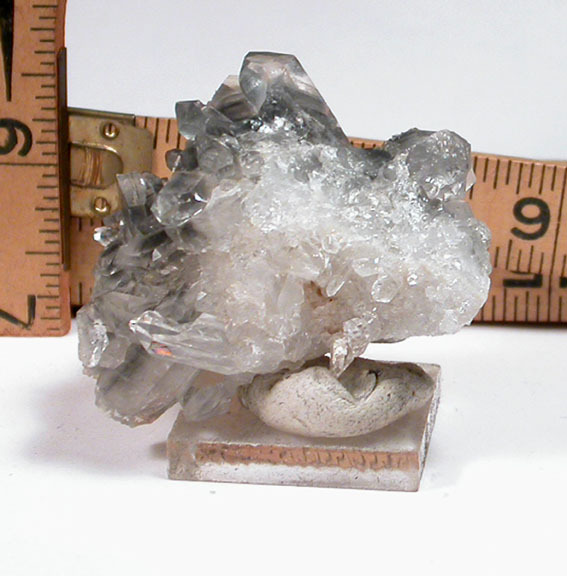 Doubly-terminated crystals, doubly-FACED crystals, channel faces, an Isis-faced or two, record keepers. Classified as miniature sized, it's 1-1/4x 1-3/4x 2-1/8" and self-displays several ways for you to be able to fully enjoy it and perhaps connect with your spirit guides. 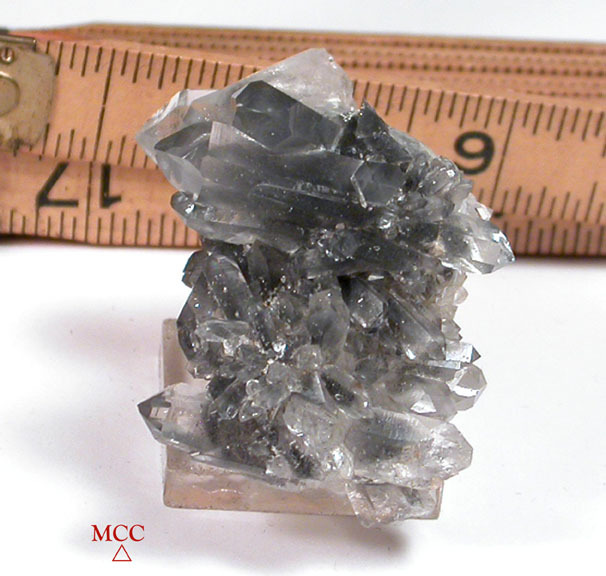 Largest crystal, twinned and doubly-terminated, is 1-3/4"! There is minimal non-detracting extraction damage for such a multi-facetted group. We especially like the starburst sub-cluster of tiny radiating phantoms! Montgomery County, Arkansas to you.